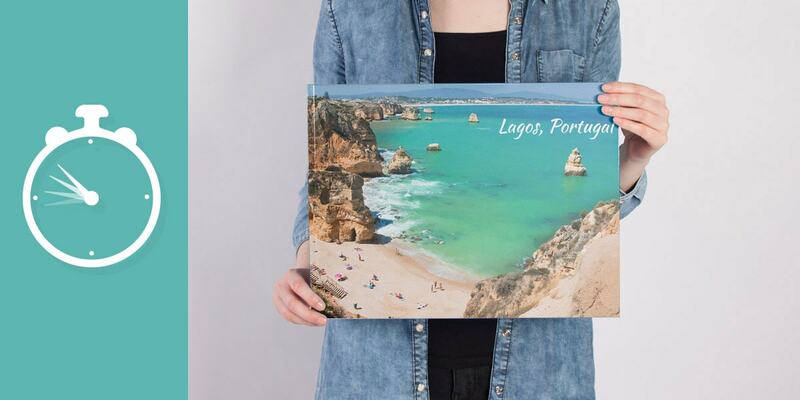 I recommend thinking of a theme for your book like a recent trip, a year of photos or a party (my book was of my holiday in Portugal). 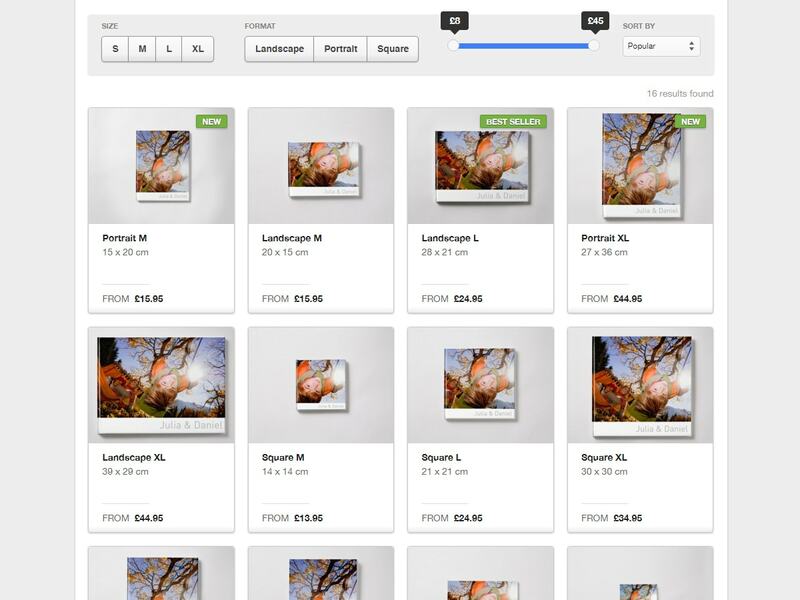 Then decide what format book you’d like to create and how many pages – I went for our most popular book – Landscape L with 24 pages. This is an important step and took nearly half my time. Get your photos from your phone or camera onto your computer. For android users you can download them from Google Photos and iPhone users can do the same from iCloud. Then collect any from WhatsApp or your camera roll by connecting your phone to your computer with a USB cord. Download the creator tool if you don’t already have it then decide how to add your photos to your book – I found manual fill was faster than auto fill and I liked the control it gave me. 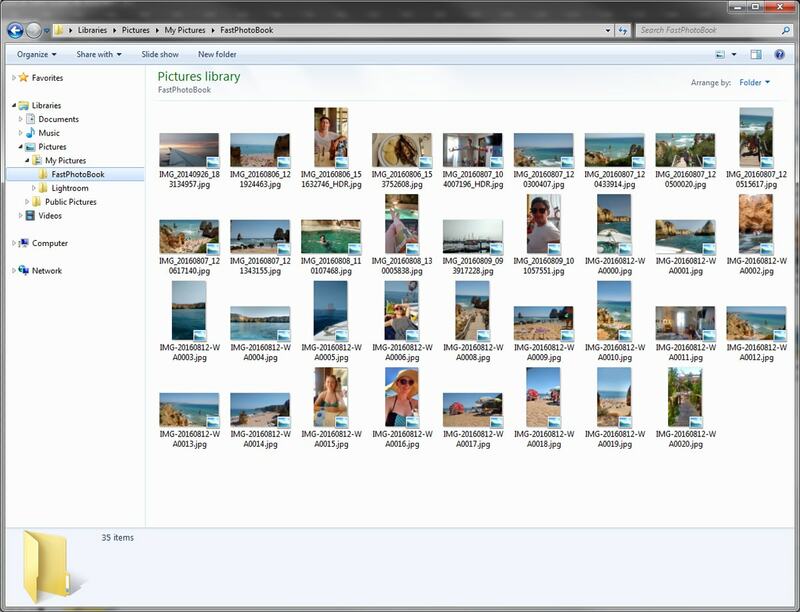 Organise your pages chronologically or by image colour and style so that it’s faster and easier to choose photos for each page. 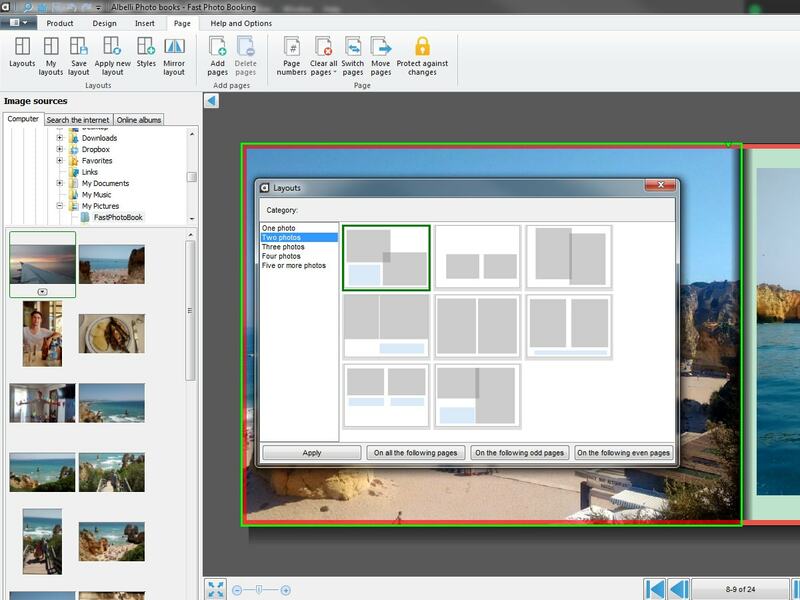 Then make use of the automatically filled photo and text layouts or use the layout options under the ‘Page’ tab to quickly apply layouts of your choice. Even though it took a bit more time, I couldn’t resist embellishing mine with some of our recently updated clipart and backgrounds. 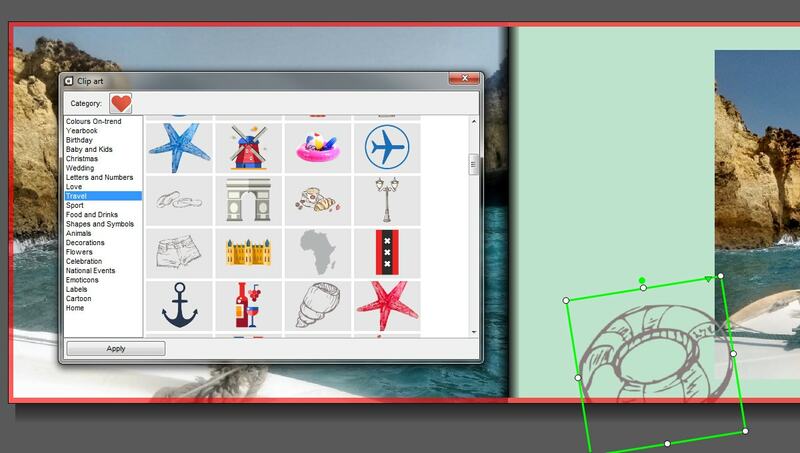 Take a minute to quickly look at the options under the ‘Insert’ tab – since my book was about my beach trip in Portugal I went for a green ‘Colours On-trend’ background and beach clipart from the ‘Travel’ theme. You’ll be taken to the website where you can sign-in or create an account and pay for your book. If you have a promotion code (for example, from our newsletter) you can add it during the check-out process. So there you have it. Check out the finished product here if you want to see how it turned out. And if you’ve got an hour to spare why not try making your photo book now? 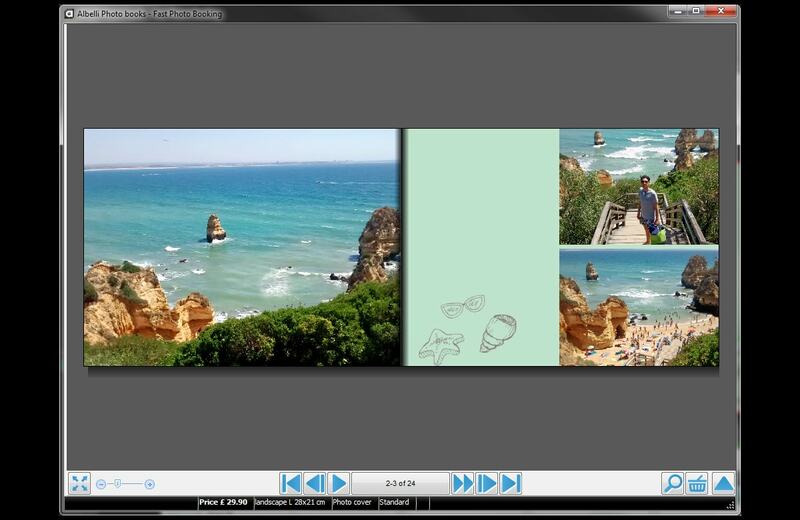 Or you could always try our smartphone and iPad apps as another way to create fast photo books.